I've made the transition to Reaper, and wow, I am really happy. 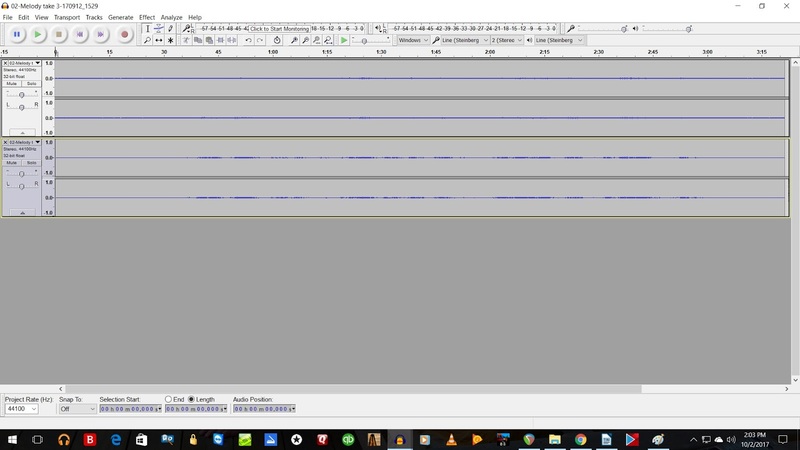 I had no idea what I was missing while exclusively using Audacity. Here's Reaper, (hard to see, I know.) It has so many more features than Audacity, that I find myself saying, "OMG, it can do that?". Like volume and Fx envelopes for instance. And just the user interface is so sophisticated. As a retired software engineer, I'm always smiling just thinking about how much work has been put into this. Here's Audacity. Well, it's just plain simple. I understand that it's free, and, well, it's an amazingly good product (for free.) 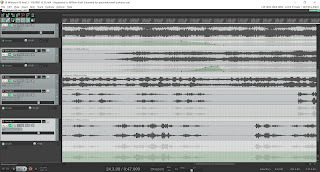 If you are just starting to use a DAW, it's great. You'll be editing and rendering songs in no time. With Reaper, I had to use a tutorial series to get over the original hump. 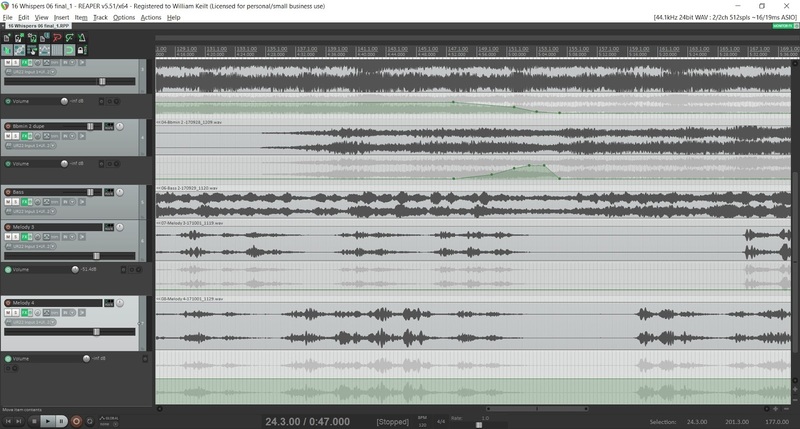 But if you really want to do any kind of even semi-serious sound engineering, you've got to graduate from Audacity. The most obvious example for me is that adding effects in Audacity is a "destructive" event. Sure, you can undo it, but once you, for instance, add reverb to a track it's on there. Plus, the killer is, you can't add effects in real time. You have to add the effect, then play the track. You can't play the track, and while it is playing, turn reverb on and adjust the parameters while listening to the effect of the change. That's a show-stopper. Especially if you are trying to use EQ to say, remove a hum. With Reaper, you can put that section on "loop play", then adjust the EQ (which has all kinds of controls) to nail down the frequency in question and solve the problem. No can do in Audacity. 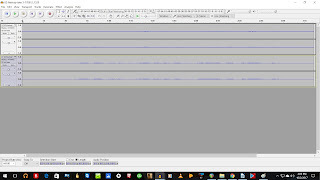 So, thank you and goodbye to Audacity. I've mixed A LOT of music over the years on you, and you've served me well, but it's time to move on.